Stranded in the water with an overturned kayak' The Princeton Tec Aqua Strobe Emergency Light floats head-up in the water and flashes 70 times per minute for eight hours. 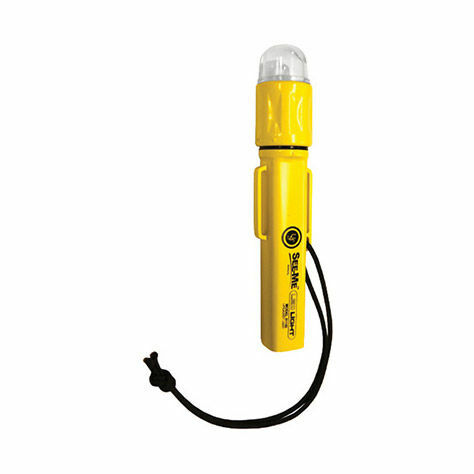 A lanyard and hook-and-loop strap help keep this Princeton Tec strobe close by while you wait for help. Storms and fog can roll in unexpected, and nighttime can really take the wind out of your sails as far as finding your way back home. Be prepared with the lightweight Aqua Strobe. 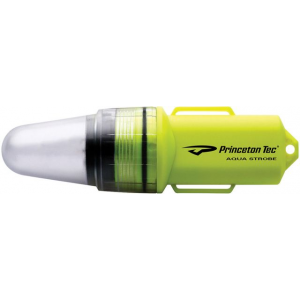 Princeton Tec Aqua Strobe Kayak Safety Beacon - Having the right safety gear is essential in paddling. 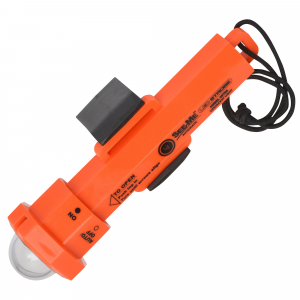 This ultra-compact outdoor and marine survival strobe is designed to be a real lifesaver. 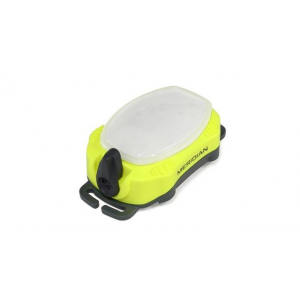 The Aqua Strobe clips easily to PFDs or kayaks, and also floats head-up in water. 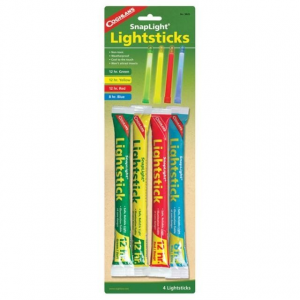 It uses one AA battery (included) and can last up to 8 hours. 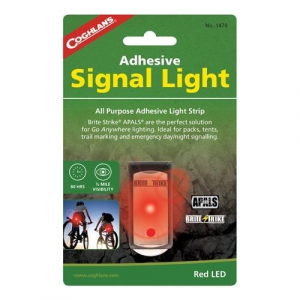 The Aqua Strobe uses different speeds and sends out intermittent bands of intense light visible for up to 3 miles! 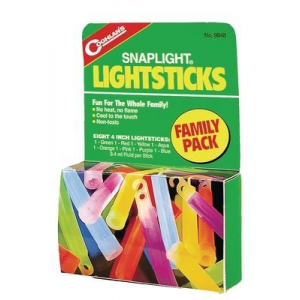 This is an excellent addition to your safety arsenal. Every touring paddler should carry one! Emergency services can track this strobe down with ease. The Aqua Strobe emits intense bursts of light that are visible up to 3 miles away in clear conditions. It runs off a single AA battery (included) and straps easily to you or your gear, making the Aqua Strobe an excellent addition to your safety arsenal when touring.